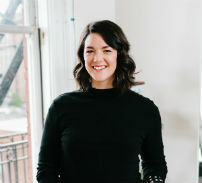 Lucy Gregory is the co-founder and director of Salt Design Co., a brand development, and web design agency specializing in strategic brand identities and websites for small business owners and entrepreneurs. With a passion for creating and connecting small businesses, Lucy has been merging her design and business skills for the last 10 years and is passionate about supporting women through their business journeys. Born and raised in England, Lucy moved to Canada at the age of 19 and has since travelled through South East Asia, Europe, New Zealand, and East Canada. Now permanently based in Vancouver Lucy brings her love for human connection and authenticity to her role at Salt Design Co. and strives to be a strong leader and people manager. What are your top business strengths or areas of expertise? What are your reasons for wanting to become a mentor? I want to help build confidence in other women. I am excited to continue working with and coaching female business owners in and beyond Vancouver.